LAKE ELSINORE, California -- Lake Elsinore's super bloom has brought out thousands of people to enjoy the poppy fields in Walker Canyon. The orange explosion is so strong it can be seen from space. 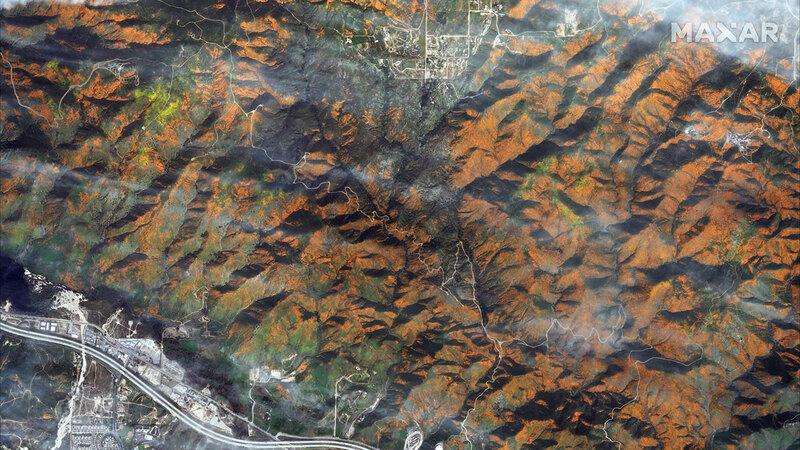 Images from space capture the vibrancy of the poppy display as hills are covered with a thick blanket of orange. The golden-orange poppies have attracted so many visitors, the community has had difficulty handling traffic and visitors have bypassed restrictions, leading to many flowers being trampled on. Several detours and road closures are in place for those wishing to visit the poppies on the weekend. On Thursday, Lake Elsinore officials laid out a plan to control crowds and protect the poppies, outlining certain road closures and procedures for the upcoming weekend. The announcement comes on the heels of officials previously shutting down the display before allowing access again one day later.